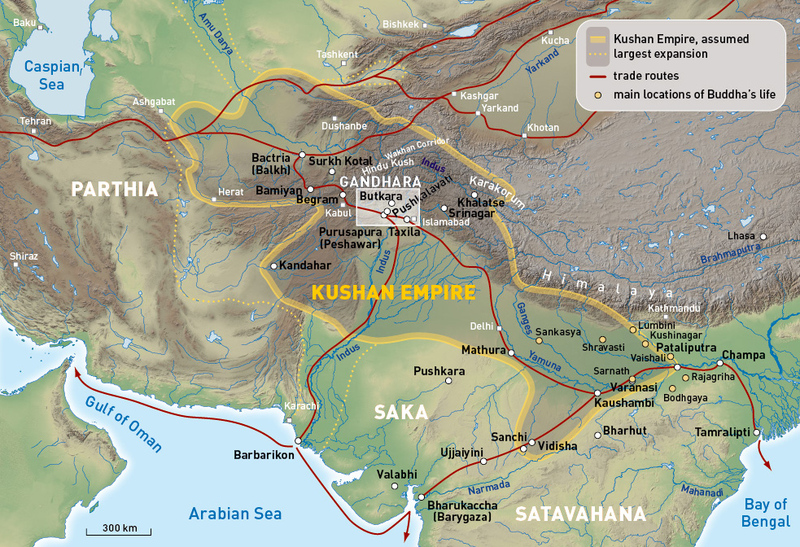 The Kushan Empire at the time of Kanishka I (ca. 127–150 CE) and the most important international trade routes. 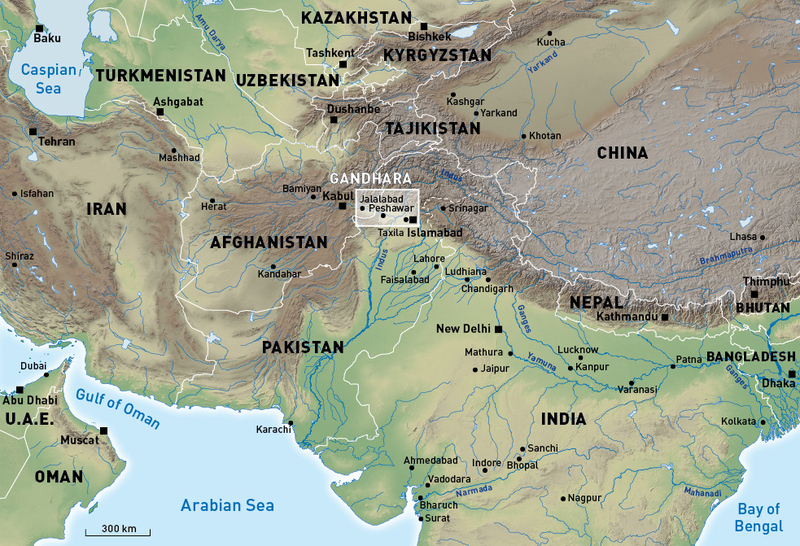 Current political map of the region, highlighting Gandhara. The most important archaeological sites in Gandhara. 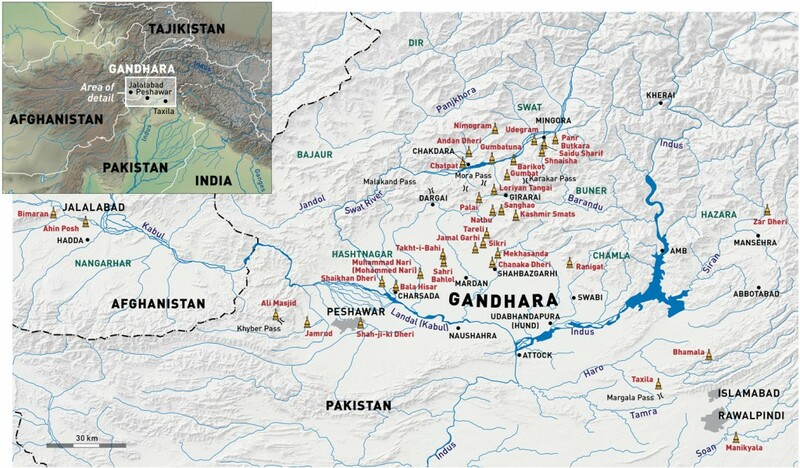 Dotted line represents approximately the Line of Control in Jammu and Kashmir agreed upon by India and Pakistan, as promulgated in the 1972 SMLA Agreement. The final status of Jammu and Kashmir has not yet been agreed upon by the parties. Maps designed by Dirk Fabian, ingraphis.de, Kassel, © Kunst- und Ausstellungshalle der Bundesrepublik Deutschland, Bonn.